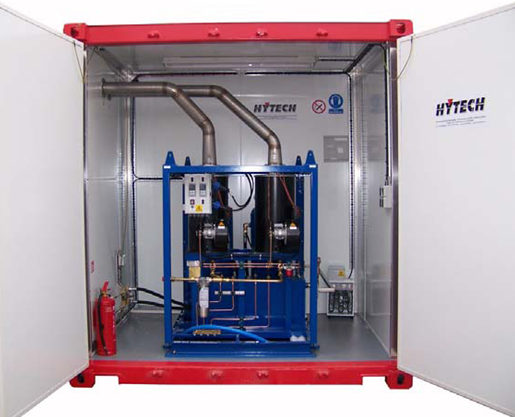 Diesel fired dual system comprising of two individually controlled heat exchangers and hot water receivers. The unit maintains an automatic temperature control to within + or - 1°F. 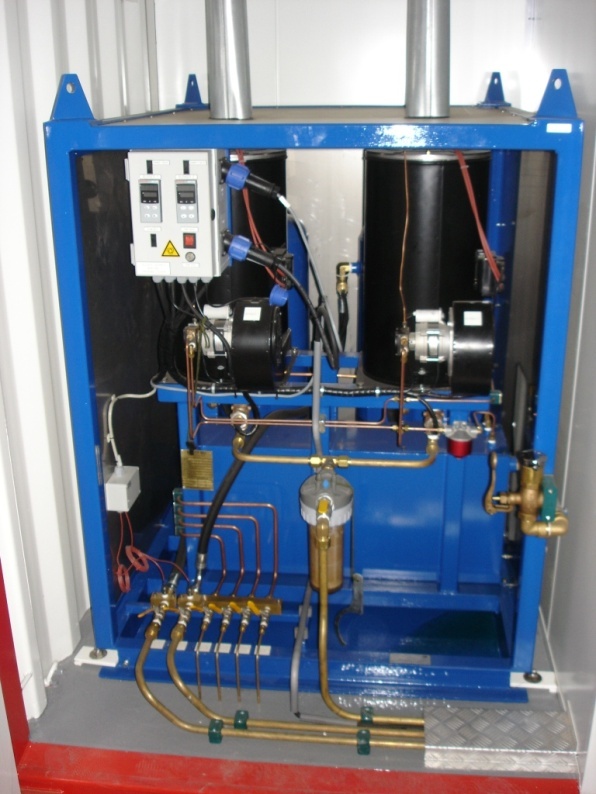 The Hot Water Machine consists of two direct fired heat exchangers used as direct water heaters, a submersible stainless steel pump, two 60 litre hot water receivers, and is controlled by two digital controllers. The electrical requirements for the SMP OF4000 Hot Water Machine are 240 Volts @ 50Hz and 16 amps.